Front-end loaders and construction workers crisscrossed the cavernous space that was once the factory floor at Blodgett Oven. 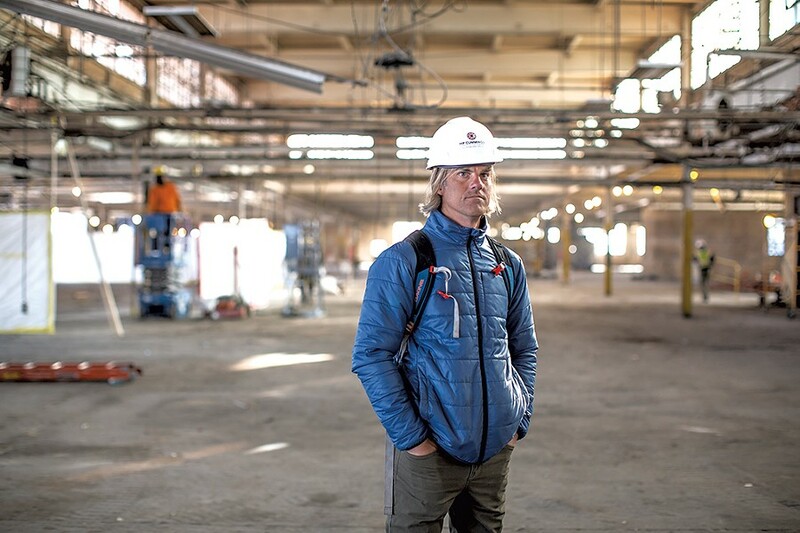 Standing in the middle, in a hard hat and down jacket, Russ Scully described his vision for the gutted manufacturing plant on the shore of Lake Champlain in Burlington's South End. "The energy of this building, in particular, is really exciting," the 49-year-old entrepreneur said of Building 44, pointing out the big double doors through which he hopes more than 500 workers will enter and exit each day. It's one of three structures on the property that he aims to fill with "high growth potential" tech companies that can turn the 140,000-square-foot campus into Vermont's version of Silicon Valley. Scully is convinced that the project, which he's calling Hula, can jump-start the city's tech scene and serve as a catalyst to help reverse the state's worker shortage. "It's emblematic of a way forward, I think, for Vermont," he said. How will Scully — an avid surfer with deep pockets but limited development experience — persuade growing businesses and even tech giants to relocate to a city of 42,000? He'll take them up to the not-yet-constructed second-floor conference room with views of the lake and the snow-topped Adirondack Mountains beyond. The scenery, as well as the "dynamism" and "energy" of the businesses working below, will seal the deal, he predicted. If all goes as planned, cybersecurity ventures, gaming startups, blockchain entrepreneurs and other tech-related enterprises will set up shop in offices ranging in size from 100 to 12,000 square feet. Building 44, the biggest on campus, will include common areas for work and leisure, a fitness center, conference rooms, and an events space. Scully's own restaurant, the Spot, will provide food service in the cafeteria. Offices are planned for most of Building 50, located next door. For now, Galen Healthcare Solutions is in Building 32, the smallest. When they're not working, employees on the 16-acre property have access to a private beach, where Scully opened the members-only Burlington Surf Club last spring. The result? "An ecosystem" that would appeal to someone who wants to commute by bike, take a lunchtime yoga class in the pavilion or get out on the lake after work. "Dynamism — that's what we want," said Rob Lair, who recruits businesses for Scully and will oversee day-to-day operations. "We want charisma in here." They believe that "vibe," as Scully calls it, is what companies like Apple, Google and Facebook are seeking. Lair and Scully have talked with more than 100 tech-related businesses, including those three, and toured other innovation spaces around the Northeast in their efforts to design and populate the Hula complex. More than 25 businesses, many of them local, have expressed interest in moving in, according to Scully. Among the companies making verbal commitments are OVR Technology, a South Burlington company that adds an olfactory element to virtual reality, and Benchmark Space Systems, another South Burlington firm that builds engines for satellites. Vermont Technology Alliance is also considering renting space, or at least holding events there. Guru, a San Francisco-based design company with roughly 20 employees, has agreed to set up a Burlington satellite office, according to Lair. And a Boston firm hopes to use the space as an off-site office for employees who want to spend a few days or weeks in Vermont, or even permanently move here. 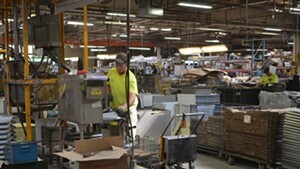 In a tight labor market, "they feel like it's going to be a competitive advantage for them," Scully said. He hopes to open Building 50 by December and Building 44 by early 2020. Government officials and tech scene insiders expressed enthusiasm about Scully's vision — if, that is, he can pull it off. "There's some risk there," said Dennis Moynihan, the former executive director of the tech nonprofit BTV Ignite. 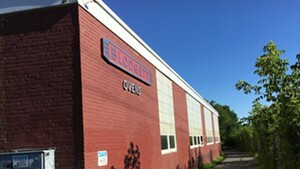 Moynihan is now helping start another business incubator, Vermont Innovation Commons, in the Cambrian Rise development on North Avenue. "Yes, if we build it, they may not come," Moynihan said of the two projects. "But if we don't build it, they definitely won't come." Lean and blond, Scully looks like a surfer dude from Southern California. In fact, he hails from northern New Jersey, though he spent several years living — and catching waves — on the West Coast before he settled in Vermont in 1997. 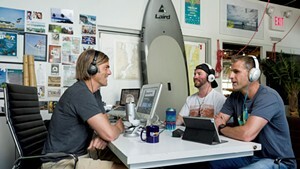 He's since launched several surfing-inspired businesses, including a web design company, two restaurants and WND&WVS, a shop on Pine Street that sells gear for water sports and offers camps and lessons for standup paddleboarding, kiteboarding and windsurfing. Still tan from a recent trip to Puerto Rico, where he and his wife, Roxanne, operate a 10-bedroom surfing retreat, he arrived by bike to give a reporter the Hula tour. Scully had had his eye on the Lakeside property for more than a decade when he first heard that Blodgett might sell. He was intrigued by the location. "A site like this on the water ... is underutilized as a manufacturing space," he said. In 2017, he learned the property was on the market. That June, he paid $14.3 million for it, far more than the assessed value of $4.1 million. Frank Cioffi, president of the Greater Burlington Industrial Corporation, called Scully "the perfect buyer." "He's well-capitalized, and he's patient," Cioffi said. "I don't think he's going to compromise his vision" as the market changes or in order to make a larger profit margin. Scully's relative inexperience as a developer may be a benefit, Cioffi added: "He's so much more passionate and driven than you'll ever see in real estate developers." Scully is chair of the Burlington Business Association and a regular donor to Democratic candidates, including Burlington Mayor Miro Weinberger and City Councilor Joan Shannon (D-South District), who lives just down the street from Hula. In addition to his surf-related enterprises, he has invested in several other Burlington-area businesses, some of which he said will move to the new complex. Last March, Scully hired Lair, an Underhill resident who left a job at Morgan Stanley to join the team. Scully has also brought on John Caulo, who oversees capital projects for Champlain College, to help with permitting and managing the construction. After focusing his attention on the inaugural season of his surf club, Scully turned to the next phase of the Blodgett property. He's received all the necessary permits, which describe about $14 million in planned renovations, according to city documents. Scully has no outside investors and plans to foot the bill himself. Scully said he didn't yet know what the project would cost. "I don't think that part's so important, honestly," he said. "It's a lot," added Lair. Scully declined to say what they'd be charging for rent — though he said it would vary based on the size of the space and which direction it faces. He said he would charge "market-ish" rents for Burlington, which run around $20 a year per square foot. "The goal is not to make a lot of money and sign some high-price leases," he insisted. Sam Wisniewski, a founder of OVR Technology, said Scully's community ties helped sell him on the space. "He had a really positive reputation of investing money, but also time, and taking Burlington's best assets ... and breathing new life into them," Wisniewski said. Scully launched a slick website advertising the space but has otherwise kept a low profile, eschewing press coverage and even keeping communication with government officials to a minimum. Weinberger offered to reach out to businesses that are considering a move to the area, but he said Scully had not taken him up on the offer. He lauded Scully for taking a chance on a novel venture that the mayor described as "transformative." "People who are willing to do that and take that kind of risk ... they play an important role in an evolution of a city," he said. Councilor Shannon said she met with Scully early on but didn't know many details. Nor had she heard any concerns from her constituents. "Russ' approach to this basically has not raised any alarm to the neighbors or ... anyone," she said. Vermont Secretary of Commerce and Community Development Mike Schirling said he was briefed on the project two years ago but hadn't gotten any updates since. "It seems exciting," he said. The project isn't receiving any subsidies or state support, but Schirling fully endorsed what he had seen: "It's exactly the kind of thing that we think will be successful." Scully is convinced Hula will sell itself. He plans to initially fill up only 60 to 70 percent of the space so national companies can discover it. "We want to leave a significant amount of time for this story to develop so that people outside of the area hear about it and have a chance to react, come visit and hopefully move here," he said. 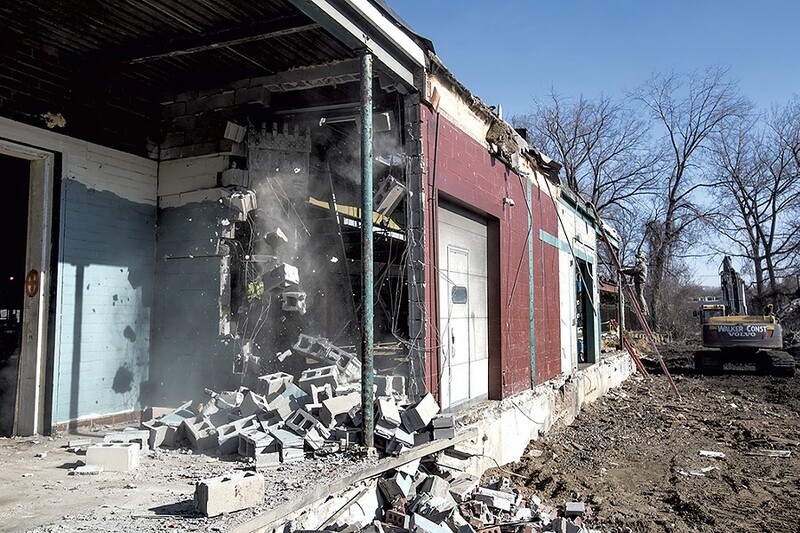 Last week, as an excavator clawed away the wall of Building 50, Scully and Lair stood outside and talked of spring, describing the gardens and other landscaping planned for the property. "We're working really, really hard," Lair said. "It's going to be absolutely gorgeous." 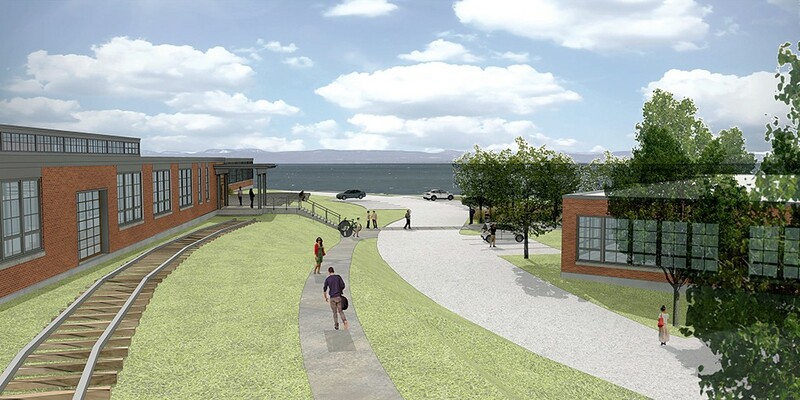 What's New This Summer at 16 Burlington Waterfront Spots?